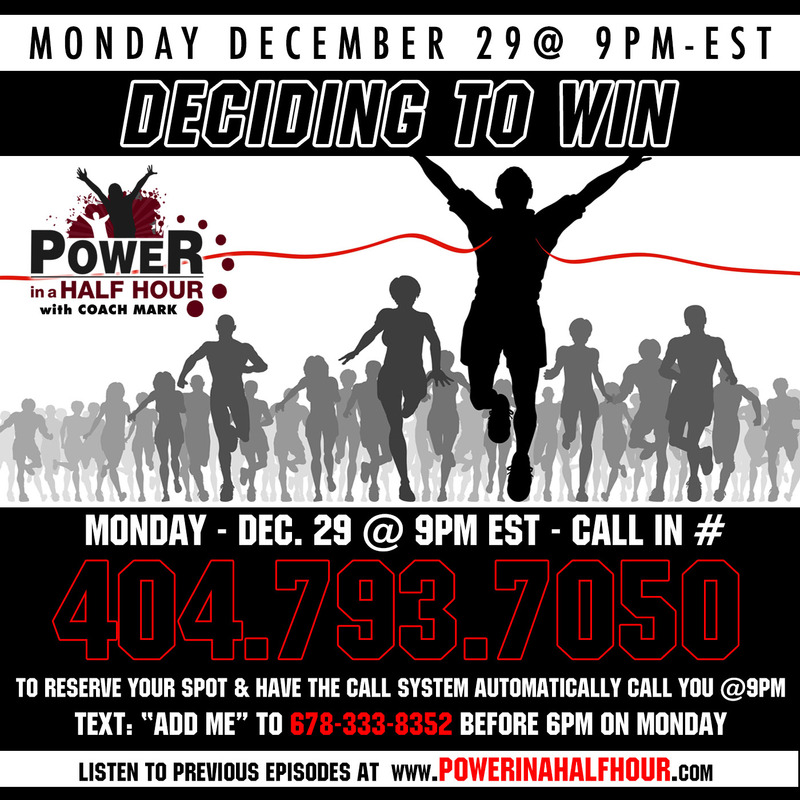 Episode 12 – Deciding To Win!!! Are you Interested or Committed? Learn the difference between being Committed & being Interested & Commit to making a decision to win. Just as important as creating new habits is breaking old bad habits. 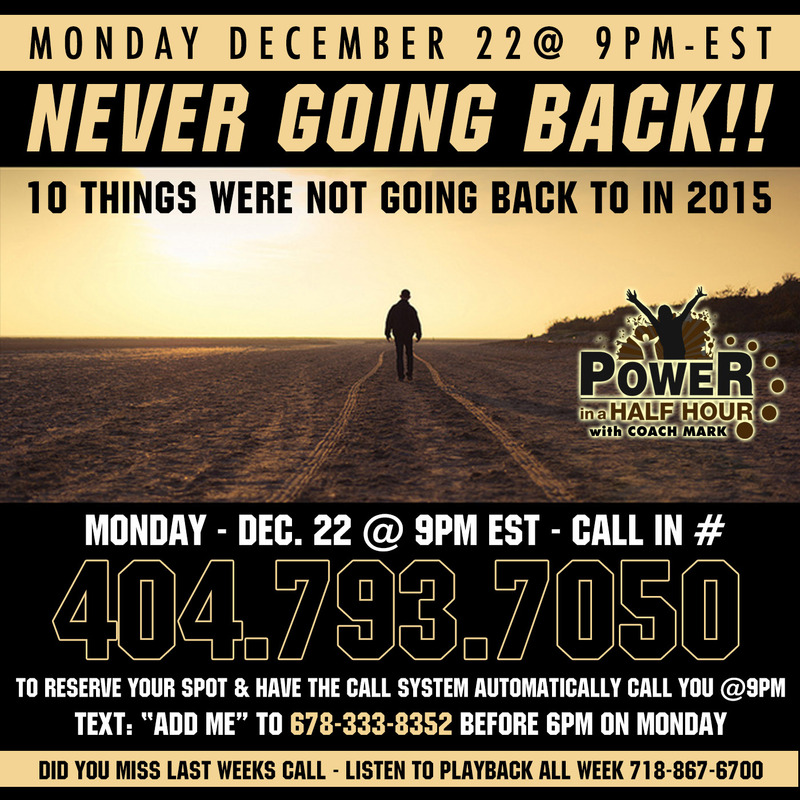 On this weeks call I will share with you 10 things that we must never do again to achieve success. 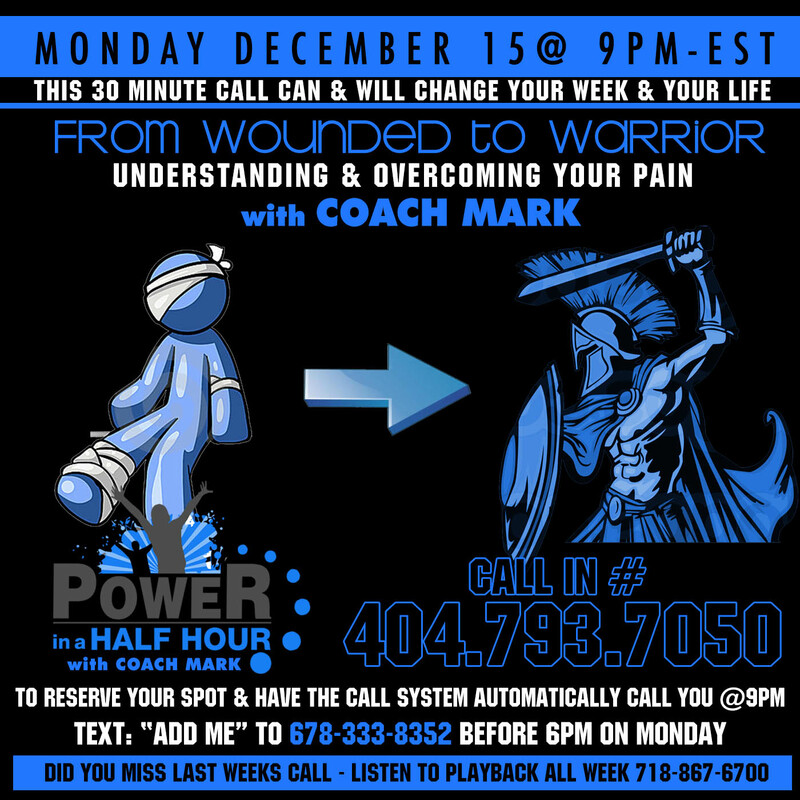 On the call, we will learn How to go from being wounded to a Victorious Warrior. Most of us have gone thru pain, and we allow that pain to keep us stuck. We will learn some techniques to help us get over that pain. Episode 9: Why ask Why? 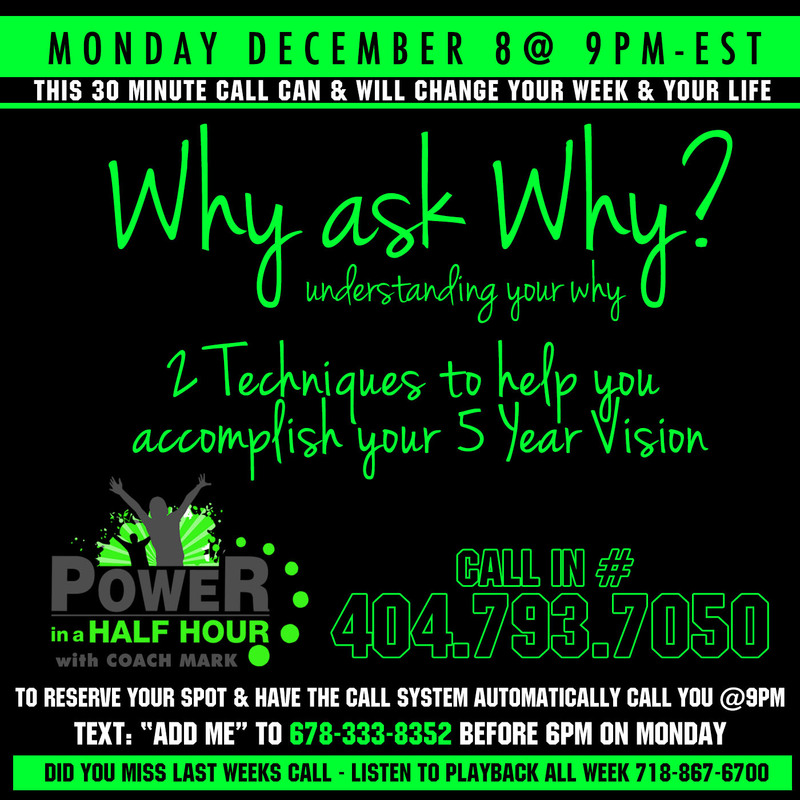 On the call, we learned why your Why is so important to you being happy, successful, & living a fulfilled life. We also learned 2 techniques that will absolutely help you to achieve the Goals you set last week. 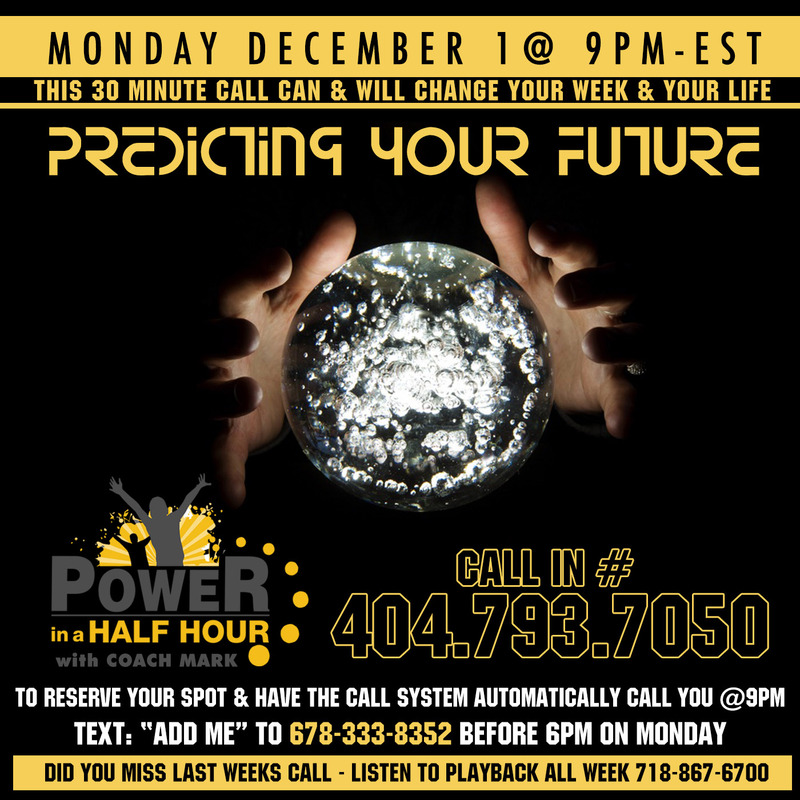 In This episode, we learn that the easiest way to predict the future is to actually create it. 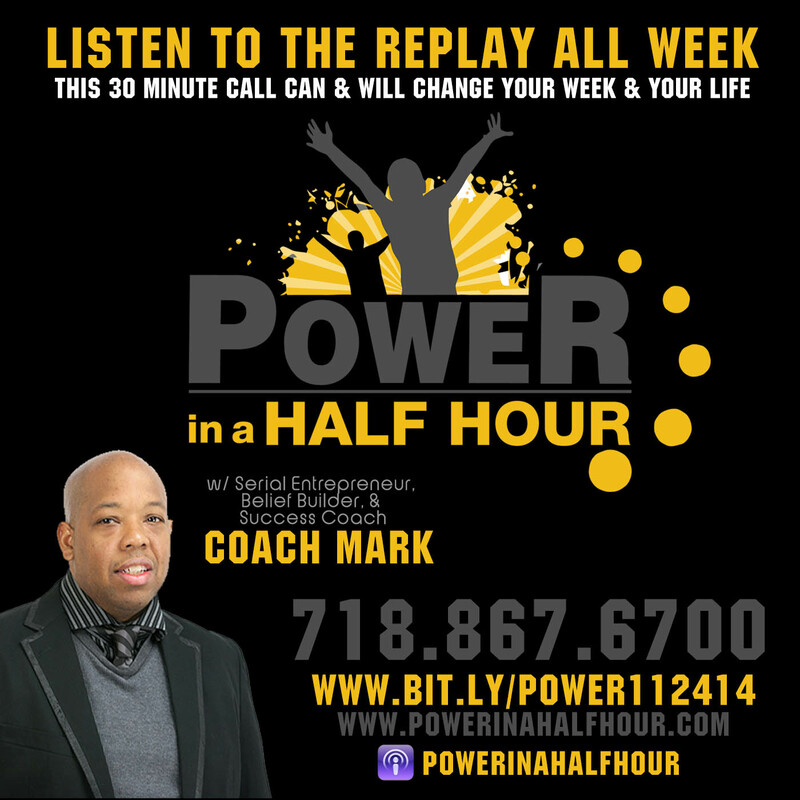 In this episode Coach Mark discusses His 3 keys to success that all successful entrepreneurs know and practice.